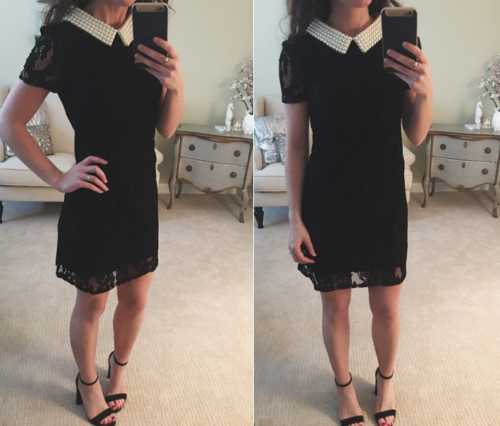 This dress is hard to find, in store or online, but I just couldn’t resist showing you! I am a sucker for pretty details. 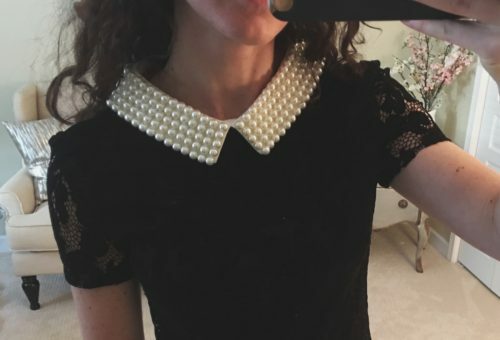 This pearl collar and black lace combo has me all sorts of happy. It looks itchy, I know…it’s not! Promise. Look at this collar! Betsey Johnson…my heroine.